After the previous ‘No. 1 Mi Fan’ sale held by Xiaomi on Mi.com, Flipkart and Amazon India, the company has initiated yet another smartphone sale, this time exclusively on Amazon, from what it seems. The discount highlights discounts primarily on smartphones, although an assortment of Xiaomi accessories are also on discounted sale during this period. The No. 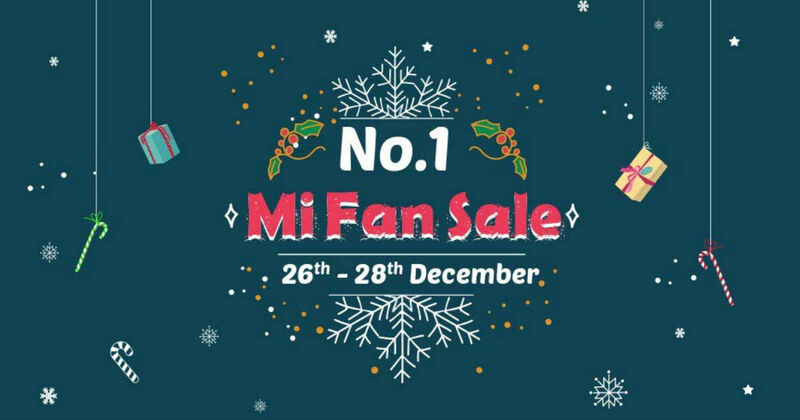 1 Mi Fan sale began today, December 26th, and will go on till Friday, December 28th. Along with the discounted prices, HDFC Bank customers will also get 5 percent instant discount via both credit and debit cards. Those wishing to avoid spending a lump sum may also opt for the zero interest EMI offer, which has been extended to some of the devices. The list of smartphones being sold on discounts at this sale are as follows. The Xiaomi Redmi 6A (review) is the most affordable product in the list of discounted devices. The budget smartphones makes use of the MediaTek Helio A22 SoC, coupled with 2GB of RAM and two storage variants. It also gets a 5.45-inch HD+ display with 18:9 aspect ratio, as is the norm with most budget smartphones of today. A budget device on steroids, the Redmi Y2 (review) aims to provide the big, expensive phone experience at a tight budget. It gets a 6-inch display (albeit with HD+ resolution), along with a dual-camera setup, the Qualcomm Snapdragon 625 SoC, and two variants offering up to 4GB RAM and 64GB storage. The Redmi 6 Pro (review) is the cheapest here that brings forth the notched display design. Its key selling points include a 6-inch Full HD+ display with 19:9 aspect ratio, a 12MP + 5MP dual camera setup and a large, 4,000mAh battery pack. The Xiaomi Redmi Note 5 Pro (review) was the runaway hit in the mid-budget segment of smartphones, until it was replaced by its predecessor, the Redmi Note 6 Pro. That said, it still remains a very competent option, being powered by the Snapdragon 636 SoC. The Mi A2 (review) is the most complete overall package in this list, being powered by the Qualcomm Snapdragon 660 SoC and Quick Charge 4.0 support. The Mi A2 is also part of Google’s revamped Android One program, and has hence already received Android 9.0 Pie.